Sorry I'm a day late (and a dollar short) with my SCS post this week, I'm on vacation in NYC this week and did not prepare before I left...the Girl Scouts would be so disappointed! First, you should run on over to Five Alarm Book Reviews (the creators of this fun meme) and check out more awesome covers! 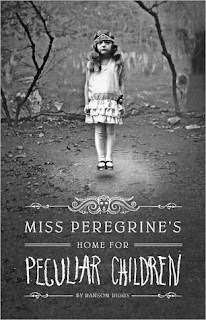 Miss Peregrine's also features about two dozen more spooky photographs than just the one on the cover. Riggs liked to collect them from yard sales and swap meets. The pictures form somewhat of an outline for the novel and each one asks more questions than can be answered. 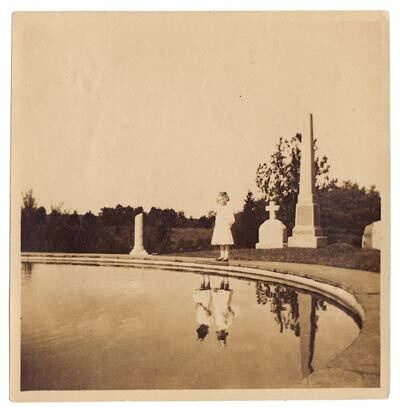 The pictures are all vintage and the photographers unknown, their peculiar mysteries are lost to time. 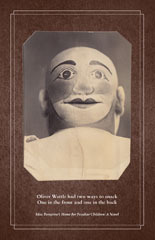 The pictures are curiously creepy and great and the book is really good as well. If you haven't read it yet, I highly suggest you check it out. Well that's it for this week, friends! 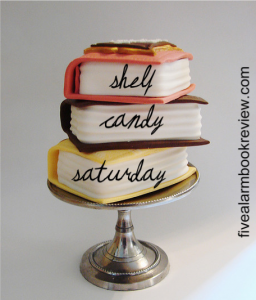 Don't forget to get on over to Five Alarm Book Reviews! I haven't read this book, but I have flipped through it several times. I love the unique way of using photos to tell a part of the story. Some of the pictures are just so haunting. Great choice for an October Shelf Candy. Ohhh, Miss Peregrine! I have it too and can't wait to read it. o: Looks awesome! And creepy. ._. Enjoy!